We Vertex ExPro introduce our self as a Manufacturer and Exporter of Jute Bags, related Jute products, Canvas Bags, Juco Bags. We take great pride in assisting our customers achieve the best possible results from our products. From Fabric selection to Packaging, we take great care of each product we produce. We make high quality products which have demand in the domestic market as well as in the foreign market. Since inception by the founder, Mr. Anand Gupta, the focus has primarily been on manufacturing the highest quality products and services for our customers. 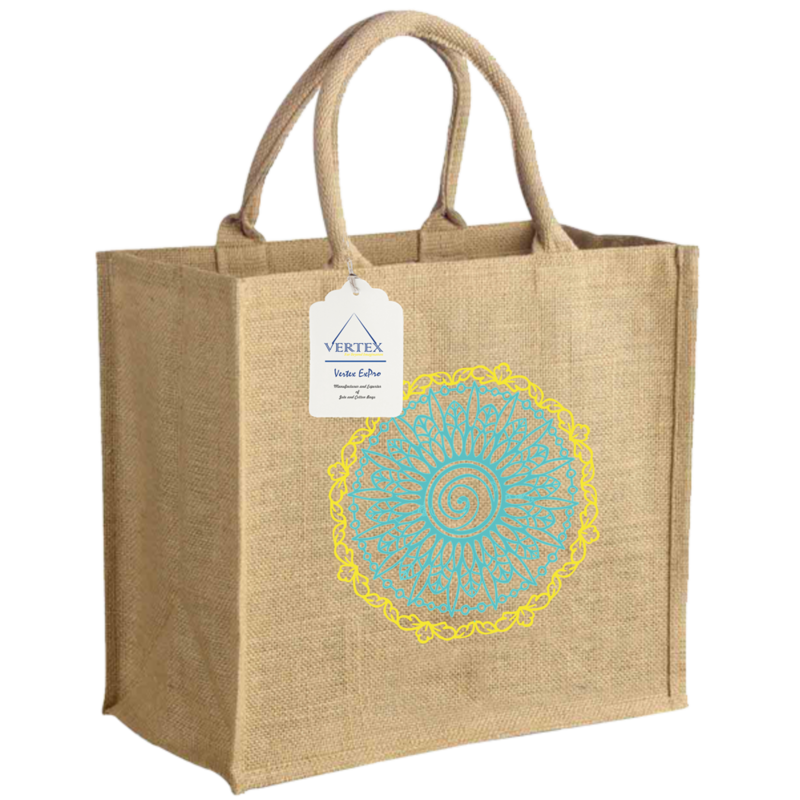 We have substantial and envious collection of jute and cotton products to suit every occasion, every aura and for every age groupand everyone wants something different, So we offer Eco-Friendly Multipurpose, Fashionable, Jute bags, Cotton bags, Canvas bags & Jute Cotton Bagswhich includesBottle Bags, Carry Bags, Fashion Bags, Jute Shopping Bags, Jute Beach Bags, Jute Wine Bag,Jute Gift Bags, Promotional Jute Bags, Jute Tote Bags, Cotton Bag, Cotton tote bag, Cotton Drawstring Bags , Cotton pouch bag, cotton sea beach bagand many more.Vertex have a dedicated designing team that can help you in customizing all kind of jute bags, jute products ,cotton bags and cotton products as per your requirements. We can print your logo or design on our bags to promote your company/brand. You can also choose from wide selection of colours, sizes, shapes, fabrics quality and fabrics type. Our mission is to create a new benchmark in Manufacturing and Providing 100% Client Satisfaction.Whatever is your budget and however different is your design, our VERTEX team can make it happen. Our Vision is to Focus towards the Feature. Our efforts are to make Vertex ExPro incompatible, undoubtedly and each & every step will increase the entire development of it. We believe in establishing world class manufacturing set up equipped with latest technology which allows producing & maintaining a swift rate of production. We are always in search of innovative ideas in printing & packaging to full fill the thoughts & dream of our valuable customers.